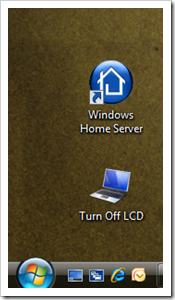 There are times when you just want to listen to some music on your notebook/laptop and want the display(LCD) of your notebook to remain off while the lid is still open, while there are small amount of notebook manufacturer’s who provide this simple option of turning off the notebook’s LCD when not in use but many dont. I own a HP DV2799 Special Edition notebook (see my review here), while its a great notebook in almost every way it still lacks a basic button to switch off the display(LCD) whenever I want to and not only this notebook but also many new & expensive notebooks lacks this option. This led to me developing my very own small application which turns off my notebook LCD just with one click. I wrote this application in C# using Microsoft Visual Studio 2008. Its basically a simple console based application that makes use of a dll(User32.dll) file from Windows using System.Runtime.InteropServices namespace and then calls the required function. I am sharing this small and useful application with all of you as a freeware license. You are free to distribute and use this application. I have tested this application on Windows Vista only. Please let us know if it works on earlier versions of Windows. 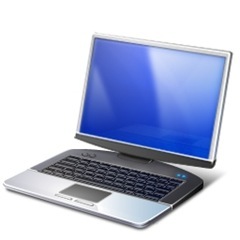 Icon used in this application is Copyrighted to 2008 Microsoft Corporation. Change Log: Removed the MS-DOS console window which was displayed whenever the display came back from off mode. The application works with both Windows XP and Windows Vista. For Windows XP based computers, you will need to install Microsoft .NET Framework 2.0 before running this application. Redmond Pie assures its readers that this file and any information enclosed within the file is free from all kinds of malicious code or Trojans that could be harmful for your computer but Redmond Pie or any of its affiliates should not be held responsible if this application caused any harm to your computer when the file(Turn Off LCD.exe) was downloaded from any sources other than redmondpie.com. Works on my Vista-powered Toshiba Satellite. Thanks. Thanks, this works on my Dell Latitude D600 running Win XP SP3. Thanks a lot!! Nice work! It also works for me on Windows 7 (I’m using a HP Probook). Works great on Toshiba laptop with Windows 7 64-bit. Thanks!! Hi, I have problem with this program on windows 8 tablet. It doesnt turn off screen. I can´t find solution for this issue. I have a Surface PRO 3 with the same issue…Do you find any solution? Works like a charm on an ASUS K55VD laptop running Windows 7 64-bit. Thank you very much! Is it possible to disable the “press enter to continue” message and exit automatically? Works on My Old Windows XP 32-bit… Kudos! Such a terrific little tool. My old HP pavillion dv7 is now even better. Windows 8, tablet: The tablet completely fall asleep. That’s not what I want. Possible to fix this? Hey, for you guys on windows 8, to get this nice tool working you need to run it as administrator. You can change the properties of this file so it runs as admin every time then you just click it once. Worked great for me on my Surface Pro 2. This works perfectly on my Dell Latitude e6410 on vanilla windows 8.1. I did not run as admin but it still works for me. I have it in my task bar.Having the display off makes the battery last a lot longer. I have a Dell Inspiron 3542 w/Windows 8. 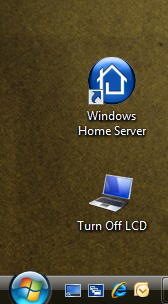 I downloaded and installed – an icon was created on my desktop but when I click I see a flash of the MS-DOS window mentioned but otherwise no activity. I’m I missing the keystroke to use or what? Does nothing on an ASUS X205TA, running Windows 8.1 . Power scheme is custom, w/ Never shutoff when AC power. Do you got any solution? I have the same problem. I turned off the monitor by the application, then after around 1 hour, I cannot turn on the monitor again by moving mouse and hit the keyboard, I also tried to reboot the computer but the monitor still keep off. Ṭhank you. This is very handy. I have used it for years on my previous laptop, and just installed on the new one. I place a shortcut on the desktop, and assign a keyboard shortcut to it. For shortcuts placed on the desktop, windows allows keyboard shortcuts to trigger from anywhere. So I can turn of the LCD with simple keypresses, without needing to exit whatever program I may be using at that time. works perfectly in windows 10. You can do it without software. From Power Options in the Control Panel, you can adjust the settings so that either the power button causes the screen to turn off, or that closing the lid causes nothing to happen (which means turning off the display without going to sleep). As for Sleep and Hibernate, they would continue to be available via the Start menu. if a DOS command window runs on the desktop, it will simply ‘wake up’ the screen within seconds. Why Windows sees the action within the DOS window as a wake up call beats me, but it is a nasty fact. Since creators update, administrator authorization is required to turn off LCD. Sorry, it works without administrator authorization after restart.